We are looking for a Marketing and Communications expert whose experience and ambition will help take BC Cancer Foundation’s brand and campaigns to the next level. You are equal parts strategist, creative, people leader who is open to hands-on tactical work to make it all happen. You are experienced in brand strategy, marketing campaign development and media relations. Your career is on a growth trajectory and you are experienced in leading people and projects to success. You are curious with an insatiable appetite to soak up new information to become a resident content expert. You care about making a difference in the lives of people facing cancer. 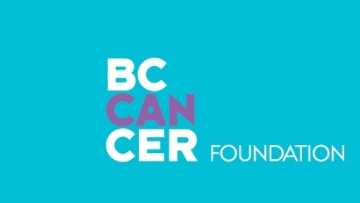 The campaigns and activity you create at the BC Cancer Foundation will not only connect people to our cause and our brand, it will inspire people to give generously to help break down cancer and save lives. To thrive at the BC Cancer Foundation, you are an expert in marketing/PR/brand, creative, cause-driven, nimble, comfortable challenging the status quo and have a natural affinity to health and science. You will play a leadership role within the lean, high output marketing and communications team at the BC Cancer Foundation where our sights are always set on the brand promise of Changing the Outcome. You’re a conceptual thinker with the ability to communicate and lead a team or project from idea to completion. You are an experienced professional who has worked in a creative agency leading brand and campaign development with experience in public relations activity. This role will work closely with world leading scientists and doctors to ideate, implement and manage go-to-market campaigns and programs that build brand, inspire donors and reach new markets. If this position is of interest to you, please apply online at bccancerfoundation.com/careers for posting number 2320008.